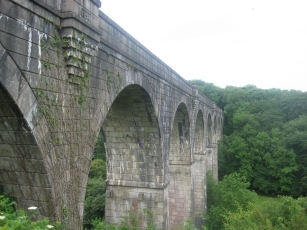 Early on in today’s trip I passed over the Derriton Viaduct just outside Holsworthy, whilst following National Cycle Route 3. 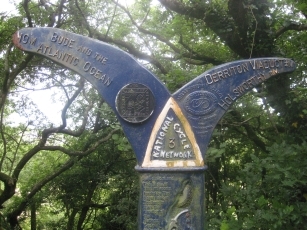 A Mills type milepost just beyond the viaduct told me that Bude and the Atlantic Ocean was just 10 miles away. 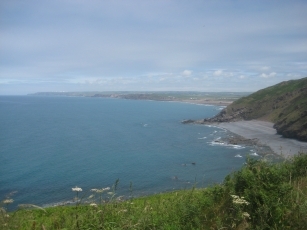 I caught my first glimpse of the Atlantic a few miles before reaching Bude. A bit further down the road I reached another milepost, this time a McColl type, stating that Land’s End is 125 miles away. I won’t be following the exact route that those miles are measured over, but it’s great to see that it’s now signposted! 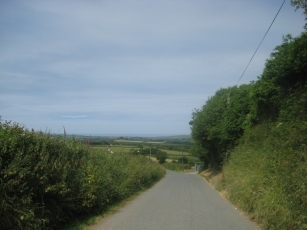 Slightly further still, in the village of Marhamchurch, NCR3 divides to head both towards Bude and a shorter and less hilly inland route via Week St. Mary. 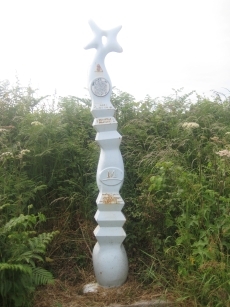 I reached Bude via a canalside stretching of NCR3. 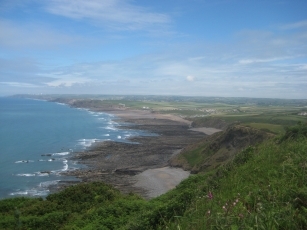 The route then leaves Bude via a coastal road with spectacular views. 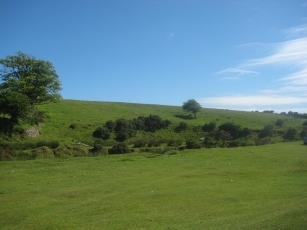 This is relatively busy, but shortly after Widemouth Bay the route then follows a much quieter, but much hillier road. At one point along here it has a 30% gradient uphill. I lunched at Wainhouse Corner, where NCR3 crosses the A39. A few miles further the route joined up again with the Week St. Mary braid of NCR3. A little further still the route crosses the former portion of an airfield. There was quite a strong headwind here, which died down almost immediately after I turned off towards the adjacent evergreen woods which cover some of the former airfield site. 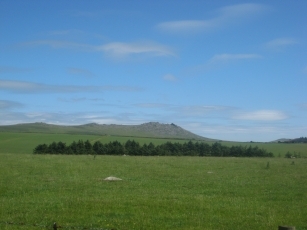 The route then skirts the edge of Bodmin Moor along the way. Again some fantastic scenery. 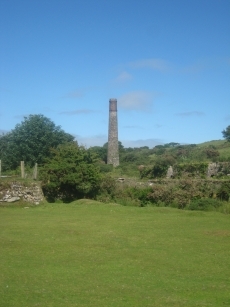 It also passes what is presumably a chimney from an old tin mine. Unfortunately I’ve not had Internet connectivity over the past few days. I managed to get a few updates uploaded via a 9600bps dial-up connection via a bluetooth connection using my mobile phone, but that’s extremely slow. So, I’ve found a wifi hotspot at the post office in St. Breward and have brought my blog up-to-date from there. Now to bring the mapping up-to-date too. This entry was posted on Monday, June 22nd, 2009 at 10:12 and is filed under Cycling. You can follow any responses to this entry through the RSS 2.0 feed. You can leave a response, or trackback from your own site. Good to see you getting into your stride on this. I’m looking forward to watching progress. > but its great to see that its now signposted! Ah, but John O’Groats will be signposted from Land’s End!